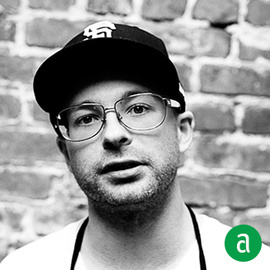 Anthony Strong, Former Executive Chef at Delfina Restaurant Group in San Francisco, shares his career timeline and advice for up-and-coming talent. When hiring, I look for how developed your abilities are to listen and communicate. Strengths lead to weaknesses; just when you think you're at the top of your game, you'll be challenged with something completely new and uncomfortable. To keep my team inspired and motivated, I like them to see how much I genuinely care about their success. I attempt to be inspiring, firm, supportive, and intuitive, all while staying a completely irreverent dork, because honestly it's important we're all having fun. I always recommend up-and-coming professionals to read "Zingerman's Guide to Being a Better Leader". Ticonderoga Envirostik Pencils are the one tool I always carry on me at work. To continue to educate myself, I engage in five hours of "active learning" a week, mostly reading. When I was 19 I moved to NYC, took a job at LeBernardin. While intimidating and scary, it was a dream come true. I learned very early on the intensity i would have to maintain in order to succeed, and how sheer determination and self-discipline could get me through any situation. Most importantly, I learned that I loved the work and all the insanity that came along with it. I've been fascinated by food since I was a nerdy little kid peeling grapes one by one while watching Martin Yan on TV!